21 Nov 2018 --- The US and Canada have been shaken by yet another E.coli outbreak; this time for Romaine lettuce. The latest news comes amid a wave of E. coli concerns in the US and only further highlights the growing role for blockchain technologies in traceability, with pressure already mounting on suppliers from their retail customers. In the US, 32 illnesses have been reported in 11 states, including 13 people who have been hospitalized. The first reports of illnesses started on on October 8, 2018, continuing till October 31, 2018. One person developed hemolytic uremic syndrome, a type of kidney failure. No deaths have been reported. In Canada, as of November 20, 2018, there have been 18 confirmed cases of E. coli illness investigated in Ontario (3) and Quebec (15). Individuals became sick between mid-October and early this month. Six individuals have been hospitalized, and one individual suffered from hemolytic-uremic syndrome (HUS), which is a severe complication that can result from an E. coli infection. No deaths have been reported. The US Centers of Disease Control and Prevention (CDC) is advising that consumers avoid eating romaine lettuce, and retailers and restaurants not serve or sell any, until more information becomes available about the outbreak. This advice includes all types and uses of romaine lettuce, such as whole heads of romaine, hearts of romaine, and bags and boxes of precut lettuce and salad mixes that contain romaine, including baby romaine, spring mix and Caesar salad. At the same time, the Public Health Agency of Canada is advising individuals in Ontario and Quebec to avoid eating romaine lettuce and salad mixes containing romaine lettuce until more is known about the outbreak and the cause of contamination. “Currently, there is no evidence to suggest that residents in other parts of Canada are affected by this outbreak,” an agency statement reads. supply chain through the use of blockchain. The latest news comes amid a wave of E. coli outbreak headlines. Earlier this month, The US FDA completed a full investigation into the country’s largest E.coli outbreak in more than a decade whereby five people died and scores of people became sick as a result of the food contamination. 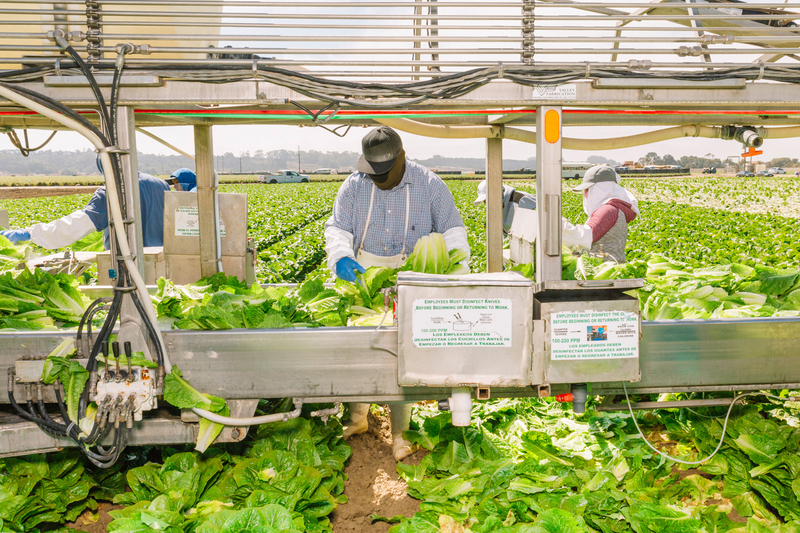 The probe provides an overview of factors that potentially contributed to the contamination of romaine lettuce with E. coli O157:H7 that has been implicated in the multistate foodborne illness outbreak. In relation to the problems of food contamination and mislabeling of products, the largest problems to date are related to a failure to keep track of where products have been, or who has been in charge of them, he explains. “When a supply chain is integrated onto a blockchain all of these features become visible and known to not only the relevant stakeholders but also the end consumer. As such, blockchain ensures that the origin of food recalls can be easily managed, while any intentional mislabeling is swiftly identified: the actors and the produce itself are both integrated into a single coherent and available data flow,” notes Versetti. In an interview with FoodIngredientsFirst last month, Ramesh Gopinath, Vice President at Blockchain Solutions at IBM, explained the potential of this technology as the IBM Food Trust platform, which is now commercially available, gains traction. 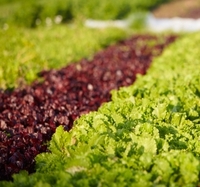 IBM says that members joining the growing ecosystem of the IBM Food Trust have helped build a powerful global business solution that is interoperable and built on open standards. It’s designed to enable organizations in the food industry to run their businesses more effectively and provide safer food at lower costs. In September 2018, Walmart said it was lauding the benefits of tracking lettuce and spinach through the supply chain through the use of blockchain. Walmart and Sam’s Club areis urging lettuce and spinach suppliers to contribute to a blockchain database that can quickly and efficiently identify contamination. The suppliers have received a letter requesting that they trace their products all the way back to the farm using blockchain technology. Walmart says suppliers are expected to have all these systems in place by this time next year. Walmart says that all fresh leafy greens suppliers are expected to be able to trace their products back to farm(s) (by production lot) in seconds – not days. To do this, suppliers will be required to capture digital, end-to-end traceability event information using the IBM Food Trust network. Last month, FoodIngredientsFirst reported that Europe’s largest retailer, Carrefour, is also adopting blockchain with plans to expand to all Carrefour brands by 2022. The network is now generally available after 18 months in testing, during which retailers and suppliers have tracked millions of individual food products. • Suppliers including BeefChain, Dennick Fruit Source, Scoular, and Smithfield. Versetti at Ambrosus expects blockchain to become prominent in the food industry in the next five to ten years at the latest. “Already today, with the creation of GS1’s new standard – Data Link – we see that the industry is moving towards a more consumer-oriented form of product engagement centered upon QR codes. Blockchain is the ideal technology to facilitate this kind of engagement because it brings with it a form of trust that cannot be replicated by other technologies,” he says. For Versetti, the question of when mass adoption comes to the food industry is thus encouraged by current trends towards the consumer, as well as by the increase in awareness about blockchain. “The first areas that will benefit the most are industries with highly counterfeited products or high-value commodities – honey, vanilla, olive oil, etc. These stakeholders are most affected by the current lack of accountability,” he explains. “However, as more and more producers opt for transparency, and seek to conform to consumer trends, it will only be a matter of time before more generic and large-scale food producers begin to implement blockchain into their supply chains. This in many ways is how industrial disruption takes place – early adopters are followed by a main wave of adoption, while those who fail to adopt are left behind,” Versetti concludes. The latest food recall is only set to intensify the discussion about this technology. In a statement yesterday, the CDC, public health and regulatory officials in several states in Canada, and the US FDA noted they were investigating a multistate outbreak of Shiga toxin-producing Escherichia coli O157:H7 (E. coli O157:H7) infections linked to romaine lettuce. According to the group, ill people in this outbreak were infected with E. coli bacteria with the same DNA fingerprint as the E. coli strain isolated from ill people in a 2017 outbreak linked to leafy greens in the US and to romaine lettuce in Canada. The current outbreak is not related to a recent multistate outbreak of E. coli O157:H7 infections linked to romaine lettuce. “It is difficult to know whether a product is contaminated with E. coli because you can't see, smell or taste it. Romaine lettuce can have a shelf life of up to five weeks, and therefore it is possible that contaminated romaine lettuce purchased over the past few weeks may still be in your home. Restaurant and retailers may also still be selling romaine lettuce products. Consumers are advised to use the information in this public health notice to help make informed decisions about their own personal health situations. Individuals in Ontario and Quebec should avoid eating romaine lettuce and salad mixes containing romaine lettuce until more is known about the outbreak and the cause of contamination,” the Canadian agency concludes.